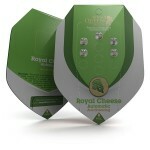 Royal Cheese is one of our best selling strains, loved by many for its unique, strong aroma and taste. The smell of Cheese is like no other strain. Our autoflowering strains also seem to be gaining in popularity, mainly due to the fact they are so easy to grow. This strain, the Royal Cheese Automatic, gives the great taste of cheese with the easy-to-grow genetics of our best autoflowering strains. Much like the original Cheese, coming from Skunk genetics, this new autoflowering variety has a very pungent aroma and strong taste. These are the main attributes of this great little plant, which can grow from seed to harvest in just 10 weeks. It will grow to a maximum height of around 100 cm; though some heavy-yielding plants may be bigger, most plants will be shorter than this. If grown well, Royal Cheese Automatic will yield generously, giving up to 210 grams per plant in optimal conditions, with an average of 160 grams per plant. 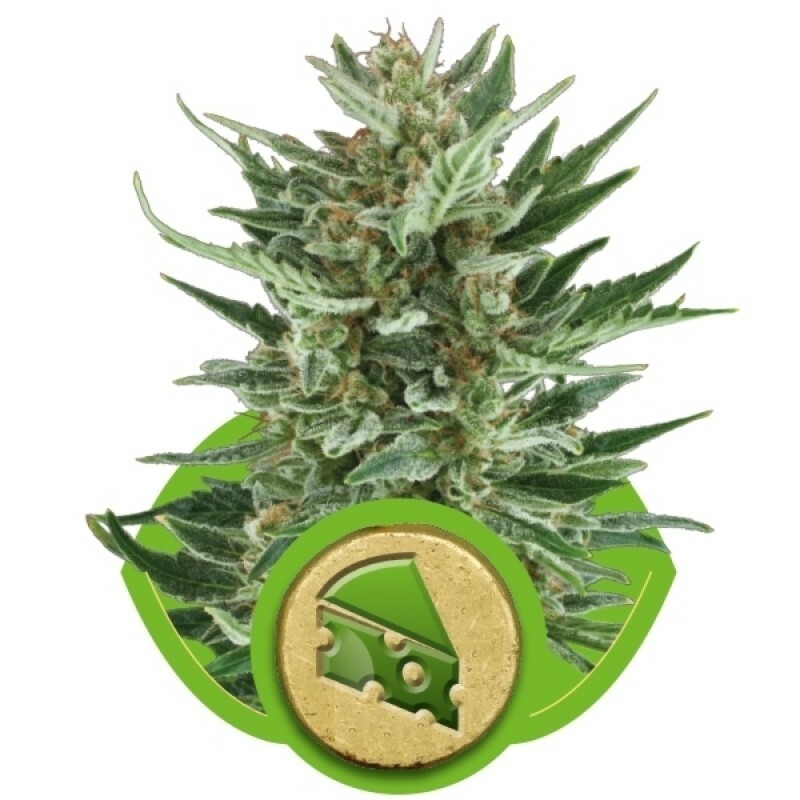 Royal Cheese Automatic is a great strain for those who love the smell and taste of the Cheese but want the benefits of easy growth that autoflowering strains offer. The effect is strong and physical, with a soothing high. 100% auto-flowering strain. This strain is the result of a cross between our SWS34 (Sweet Skunk Auto..